A report on the future funding of public service broadcasting, RTÉ and TG4 will be discussed today. REPRESENTATIVES OF THE Broadcasting Authority of Ireland (BAI) will discuss the BAI’s recommendations on the future funding of public service broadcasting today at an Oireachtas Committee meeting. The meeting with the Oireachtas Committee on Transport and Communications comes on foot of the BAI’s recently published five year review of public funding for public service broadcasters (PSB). The report produced was used to inform the Authority’s considerations and recommendations on future funding for RTÉ and TG4. As a result, recommendations were submitted to the Minister for Communications, Energy and Natural Resources, Pat Rabbitte in July. The findings of the report, undertaken by Crowe Horwath, stated that the financial crisis had had a “dramatic effect” on PSB’s revenues. They said the new Saorview viewing platform is weak as a primary source of viewing and that digital opportunities required significant investment. Other challenges cited in the report said that the competitive environment is expected to become more aggressive, adding that already increasing numbers of international channels have taken advertising revenue out of the Irish market, and there are indications that more of them will seek to purchase content. This report was issued prior to last week’s announcment that UTV plans to launch a Dublin-based TV station. The report said that while RTÉ’s plan for the station will “sustain RTÉ rather than secure it against the competitive threats it will face”. 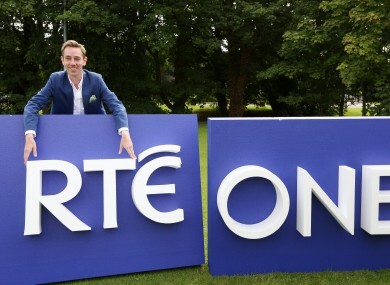 The lack of investment in digital services, and the lack of investment in digital distribution infrastructure and development, risks weakening RTÉ‘s position over the five-year period, and is unlikely to equip it to meet its public remit effectively in the longer term. … it is unlikely that efficiencies alone will allow RTÉ to thrive; and if no further public funding is available over the course of the plan, then it may well be that the BAI and the Government will need to explore with RTÉ contingencies over the longer term which might involve a more significant rationalisation of its portfolio of services to secure future funding. The report concluded that “public funding at the present level will probably be adequate to meet RTÉ‘s five-year plan under the base case, and should be conditional on the recommendations presented in this report being implemented”. As things stand, TG4 have presented a strategic plan which is based on a very substantial increase in funding, with almost all of the additional revenue coming from the State, and only a modest amount from commercial income. Furthermore, although TG4 makes reference in the plan to the service curtailments which would arise if funding were not to be secured, it is very much an ―all or nothing‖ strategy, with no alternative approaches presented. From that perspective, we must conclude that the TG4 costed five-year strategic plan will only be affordable if the Government agrees to a very significant loosening up of public money. Speaking ahead of today’s meeting, Chairman of the Committee John O’Mahony TD said they looked forward to engaging with the BAI. He added that the report which they will be discussing today recommended a new approach to funding RTÉ, which would separate licence fee and commercial income streams. Earlier this year, the independent broadcasting representatives made the case for their sector receiving a greater share of public funding, which would acknowledge their contribution to local and community life in Ireland. The Committee will be keen to assess how best to use public funds to foster a vibrant and dynamic Irish broadcasting sector. Email “BAI to discuss report on the future funding of public service broadcasting today”. Feedback on “BAI to discuss report on the future funding of public service broadcasting today”.